Wow. All drawings was so great, especially that Gustaf Tenggren´s drawing! I haven´t hear about him before. 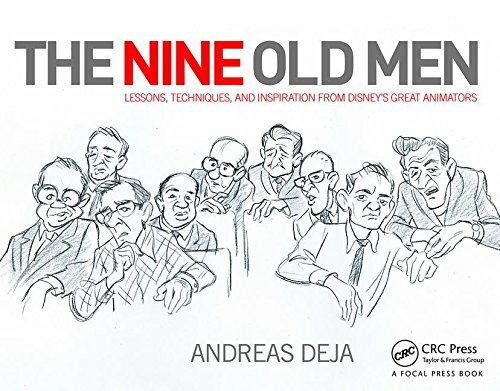 Would nice to see and read more about him and his works. Gustaf Tenggren contributed concept art to Disney's earlier films, like Snow White and Pinocchio, but he's best known for his illustrations of Little Golden Books like The Poky Little Puppy. Surprising, I know, that drawing above indicates nothing about the children's book illustrator he'd later become. He was extremely talented. It's worth googling his illustrations. I've always greatly admired that publicity drawing by Fred Moore. 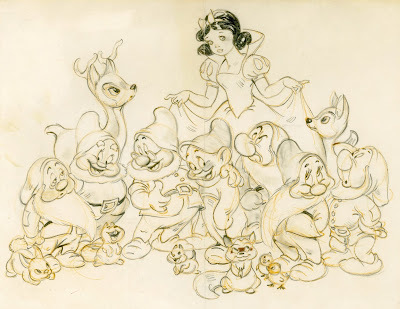 The rhythmic, flowing composition of the figures is infinitely appealing to the eye, as well as the life and personality in the way the Dwarfs relate to Snow White and each other. 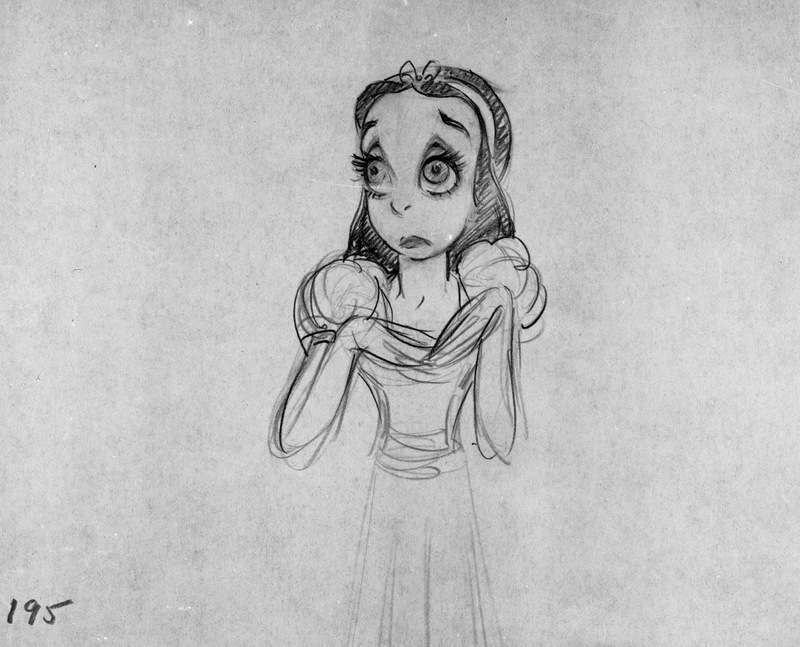 I must also confess that I wish this is the way Snow White had actually looked in the film itself. The level of caricature is much closer to the way they drew the lovely centaurettes in "Fantasia", and I personally think that it would have worked better in putting across more animated expressions and body language. 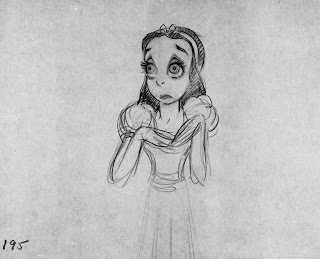 Though I love the film, the reliance on rotoscoping for Snow White herself has always struck me as being a constraint preventing what could have been. My two cents worth, anyway. I had that Fred Moore drawing pinned up in my dorm room when I was in undergrad. So charming! Marge Champion is such a beautiful woman! Perfect selection! Mr. Deja, I think that this Zazu-Pitts-look-alike of Snow White is unknown to me, too! 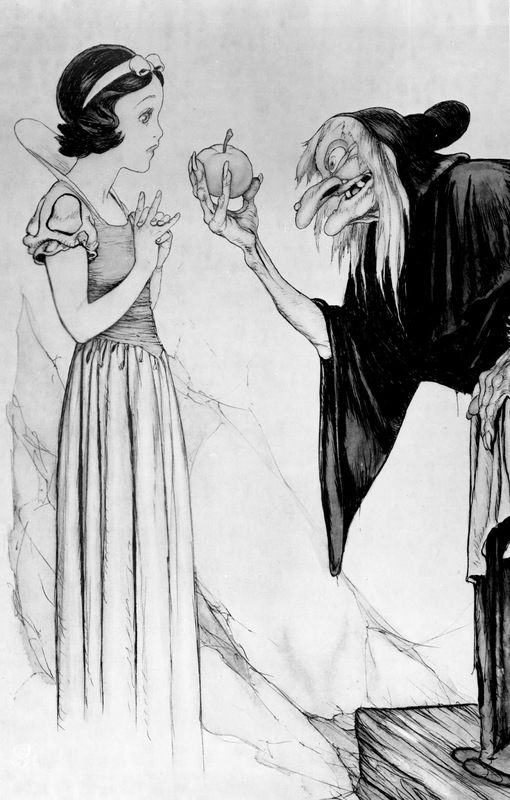 And I feel that it's either drawn by Charlie Thorson, who did not get credit for that film, or the great Grim Natwick. Here's my two cents worth. I'm leaning in Pete's direction. After all, the dwarves certainly seem real and alive, as exaggerated and "unreal" as they are. I'm wondering if the question isn't instead whether a "Freddie Moore girl" would work as Snow White. That has more to do with how he imagines women's faces than whether there's a concerted effort to draw a representative image. Look at her arms and hands – so wonderful and alive – and then contrast the facial expression of the deer on the left with Snow White's. The deer seems like a real being to me; Snow White, not so much. And yet the deer isn't drawn "realistically" at all. Marge champion was a dancer;It shows when Snow white moves. That's funny. I thought that when Walt said he wanted realism, he wanted a caricature of realism. That's what Thomas and Johnston said, at least about animation in general. I own what I believe to be a real watercolor of that image. You can see the sketch marks underneath the paint. 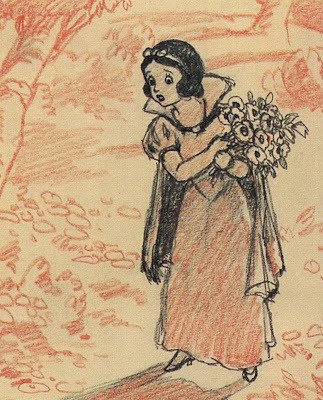 Did they ever issue color publicity cards for Snow White? As far as I know they did, using the watercolor image of this drawing.